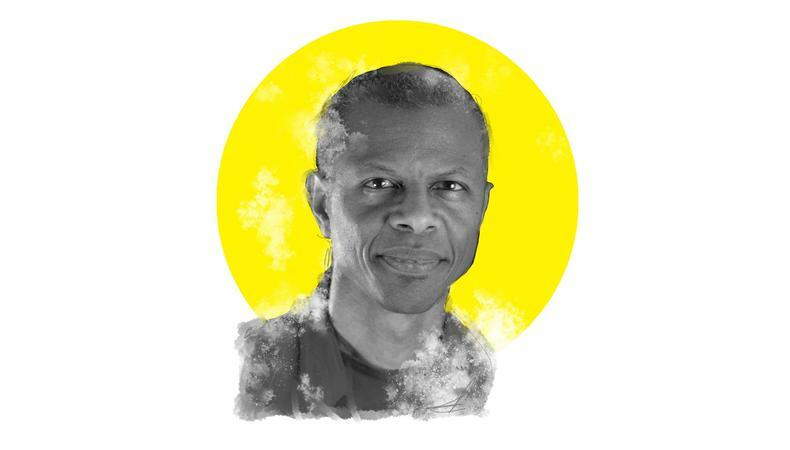 Phil LaMarr is this year’s recipient of the Backstage Vanguard Award for Outstanding Achievement in Voice Acting. With over three decades in the business and 420 projects under his belt (more than 20 of them in 2018 alone), LaMarr has built an esteemed career both in voiceover and live action. He speaks with us about how he does it all ahead of his Nov. 17 awards presentation as part of the Society of Voice Arts and Sciences’ That’s Voiceover! expo. How do you feel about receiving this year’s Backstage Vanguard Award for Outstanding Achievement in Voice Acting? It’s flattering! It’s very interesting, because for me, it’s all about the work and it’s been strange over the years as it starts to add up that—I mean, the vast majority of the things we do, nobody ever sees. Or if they see it, you never know it. At least that’s the way it used to be. It’s obviously so heartwarming and flattering to have people look at the breadth of it and go, “Wow, that was something.” And you always like to think that you’ve done some good work, that not everything is a winner, but it’s nice that people think you’ve done something that’s worth looking back at. It’s lovely. I started out in L.A. a long time ago. But the first thing I did after college was go to Backstage—or its equivalent back in the day—and there was a community theater play that had a casting notice there. There it is on the page—and this is not even a webpage, this is a literal paper page. I cut it out, found the address, and drove there for my first semiprofessional audition. What advice do you have for voice actors who are just getting their start? Well, the very first thing you have to do is learn to act. It’s sort of a misnomer to call it “voice acting,” because truly, the acting comes first, the voice is second—but to call it “acting voice” would confuse people. A lot of people think, Oh, I talk all the time, why shouldn’t I get paid for it? They don’t understand that it really is the exact same thing you’re doing in any other [acting] field, just that you’re doing it into a microphone rather than into a camera or for a live audience. The job is the same: taking a script, bringing it to life in front of an audience, and making it real. So when you’re at the mic, does it feel rather similar to live-action projects you’ve done? How did you first get your SAG-AFTRA card? I actually first got my union card in high school. I was lucky enough to stumble on some audition for a cartoon called “Mister T” that decided to use real kids for the kids, and I wound up booking the part and doing it for three seasons. So when I was ready to pursue an acting career professionally, I had a great leg up because I’d kept my union card. What special skills do you have on your résumé? Special skills probably would be accents and impressions—something that I’ve seen and done since I was a kid and have been, thankfully, able to even sometimes make a little money [doing]. What’s one piece of advice that you would give that younger self? There’s very little that you’re in control of besides your own performance, and you have to focus on that. Always do your best, because even in auditions for a job you don’t get, it could be an intangible step toward one you do. Who knows? There could be a writer-producer in there who doesn’t have control over that show [and who] loved you but got vetoed. In six months, he has his own show, and he’s still thinking about that performance you rocked in that room, and then he calls you in. I don’t imagine that you’re auditioning much at this point in your career, but when you were auditioning, how would you typically prepare and what advice do you have to leave an impression with casting? First, I do have to disabuse you of that notion; I am always auditioning. That is my job. Part of it is because in voiceover you never outgrow auditioning. It’s not like on camera, where you play a boxer and they come cast you to play a boxer in their show. You’re always creating new characters and you can’t do the same voice. They’re like, “We love you as Porky Pig, [but] we don’t have a Porky Pig in this one.” You’ve got to create it anew every single time, and they have to hear it every single time. It’s rare that, in my life at least, I get offered things just out of the blue. Sounds like that’s the nature of voice acting. Yeah, and you can’t think of it as rejection. I interned at a casting company, and it was amazing because I saw the best actors for a role sometimes not get it. You have to be able to give up that sense of control. In fact, a lot of people that I knew coming up, there were a lot of people much more talented than me who bowed out of the industry simply because they didn’t have the temperament to accept the things [they] can’t control. You have to work hard on what is within your sphere of influence and let go of everything that isn’t. If you can’t do that, it will drive you insane, no matter what.